Sunglasses may seem like a summertime fashion accessory, but they provide a wealth of benefits to your eyes. When you combine the traditional design of sunglasses with prescription lenses, you not only safeguard the eyes against harmful ultraviolet rays, but you can also see clearer. 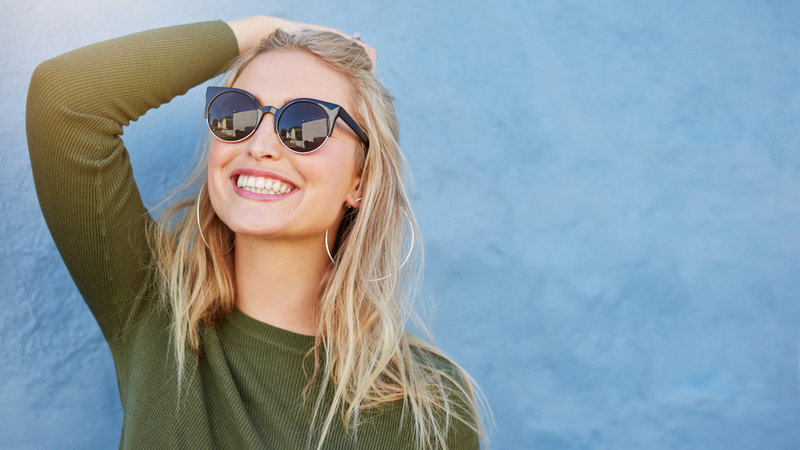 If you have any questions or need advice on obtaining new sunglasses, contact your Doctor of Optometry at Richardson Eye Associates in Richardson, TX for more information. While most people realize that prolonged exposure to the sun is bad for the skin, it is also unhealthy for the eyes. Nearly 20 percent of all cataracts are caused by extended UV exposure. Macular degeneration is also a result of over-exposure to light which can result in retinal damage. Another condition, pterygium, occurs when a tissue growth over the eye alters the curve of the eyeball causing astigmatism. All of these conditions may be preventable or reduced by wearing sunglasses. Like regular glasses, prescription sunglasses come in a wide variety of styles, colors, sizes, and designs to suit your own personal tastes. They also come in nearly any prescription, including bifocals and progressive lenses, which makes them ideal for all users. Polycarbonate lenses are the most durable type of lenses for sunglasses. They make it possible to play ball and take part in other outdoor activities without worrying about cracks and breakage. They are also more lightweight then traditional glasses, so they won’t slide down on the nose as easily. Prescription sunglasses reduce glare while driving, walking on the beach, playing in the snow and when shopping or walking on concrete. Wearing sunglasses can eliminate eye strain and squinting, which can reduce the likelihood of wrinkles, and those that curve over the face for maximum coverage can protect the skin from the harmful effects of the sun. Contact Our Richardson Eye Associates In Richardson, TX Today! At Richardson Eye Associates, we offer a wide variety of styles and brands to choose from in both traditional glasses and sunglasses. If you need basic eye care, we office exams to help correct your vision. Contact us at 972-231-3439 for more information on our available services and to schedule an appointment for an eyeglass or a sunglasses fitting. We can answer any questions you might have and help you find the correct style of lenses for you. We can also discuss the available insurance and payment options and find a pair of sunglasses to meet your budget.